I’ve never been a lover of soap, even fancy or expensive handmade ones. I’ve usually either thought they were poorly made or had a bad reaction to them, plus I’ve never liked the feeling of my skin after using them, it’d feel extra tight and dry. 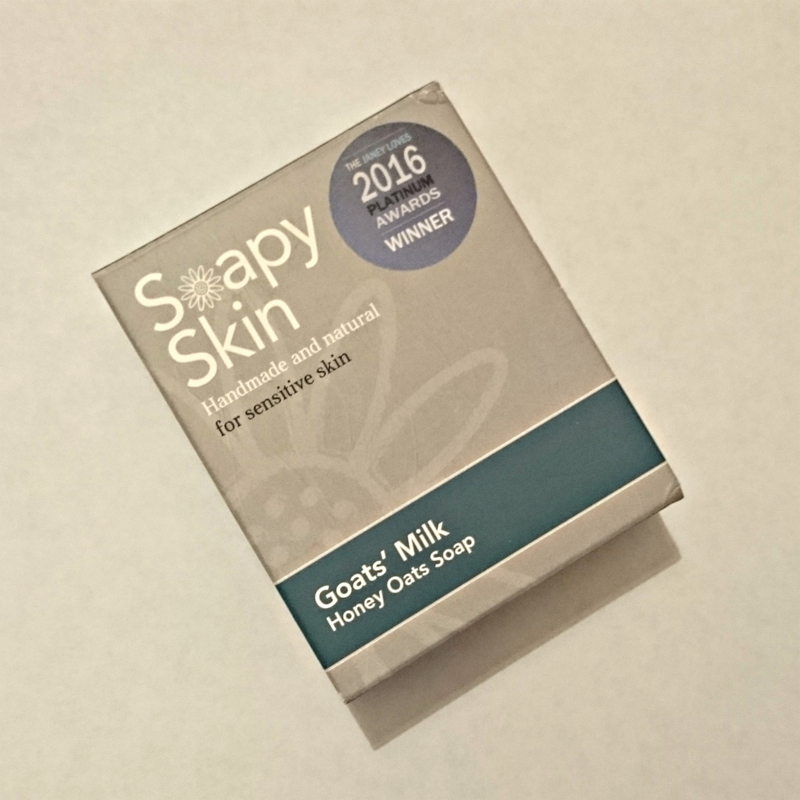 So when Soapy Skin Ltd contacted me about doing a review, I was a bit nervous, but after reading all about their award winning Honey Oats Goats Milk Soap (it won the Janey Loves Platinum Award last year and quite recently it won a Silver Award in the Problem Skin Category from Free From Skincare), I was intrigued. I don’t think I’ve ever tried anything made from goat’s milk so I was curious as to how my sensitive skin would handle it. 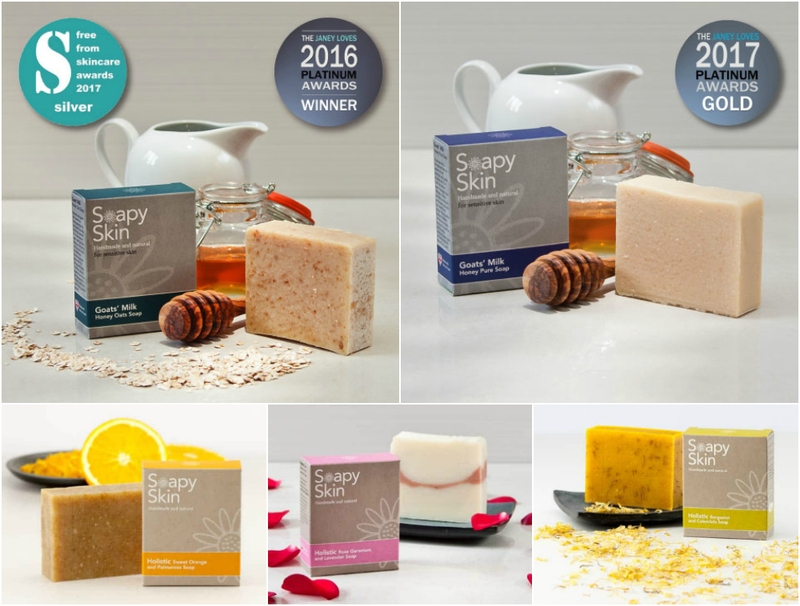 Soapy Skin Ltd manufacture and sell beautifully crafted handmade natural soaps, using the best sourced ingredients available. 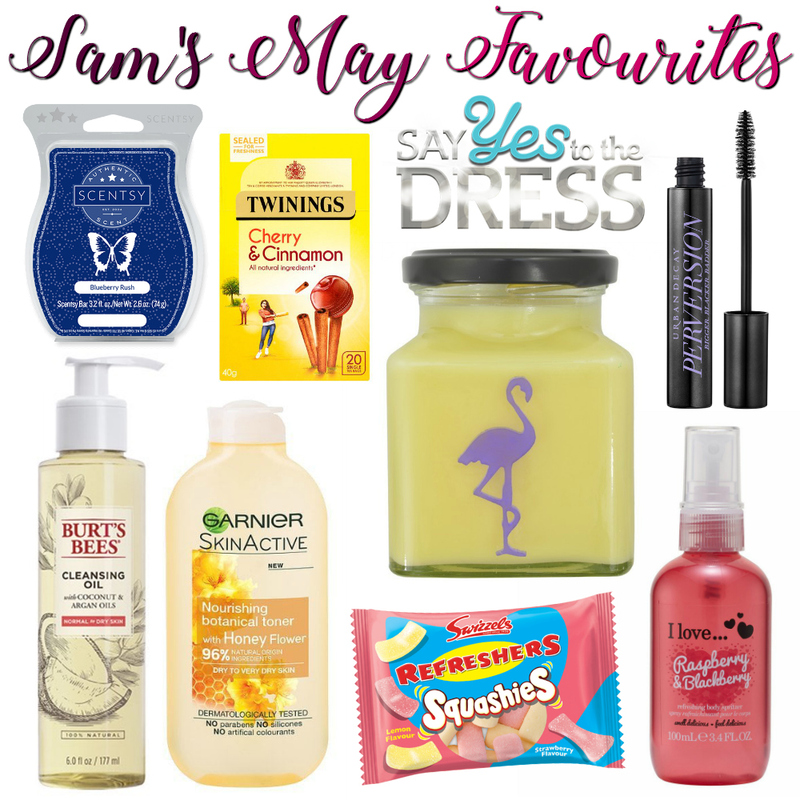 You won’t find any irritants, harmful chemicals or parabens in their products. In both Soapy Skin’s holistic and goat’s milk ranges they only use natural solid oils, such as coconut and palm, liquid oils such as olive oil, and butters such as shea to produce something your skin will love. Their soaps are also beautifully scented, using only 100% pure essential oils, which have been specially selected for their natural, positive, effects on the skin. And finally, all the botanical additives they use not only give the soaps a fantastic colour, but also act as a mild exfoliant as well as being beneficial to your skin. 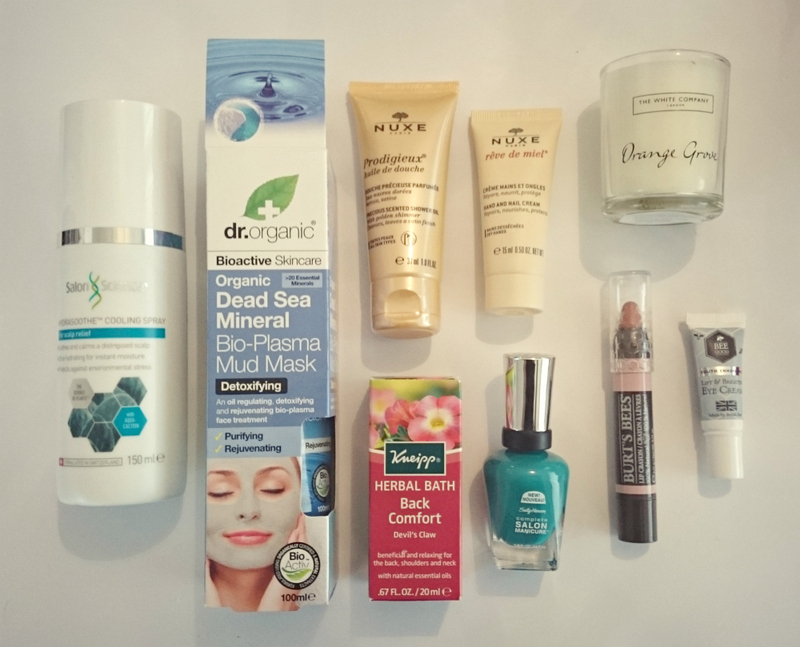 I’d never even heard of Latest In Beauty until I saw a random unboxing on YouTube, so I checked it out and there was such an amazing choice of products, I couldn’t not try it out. 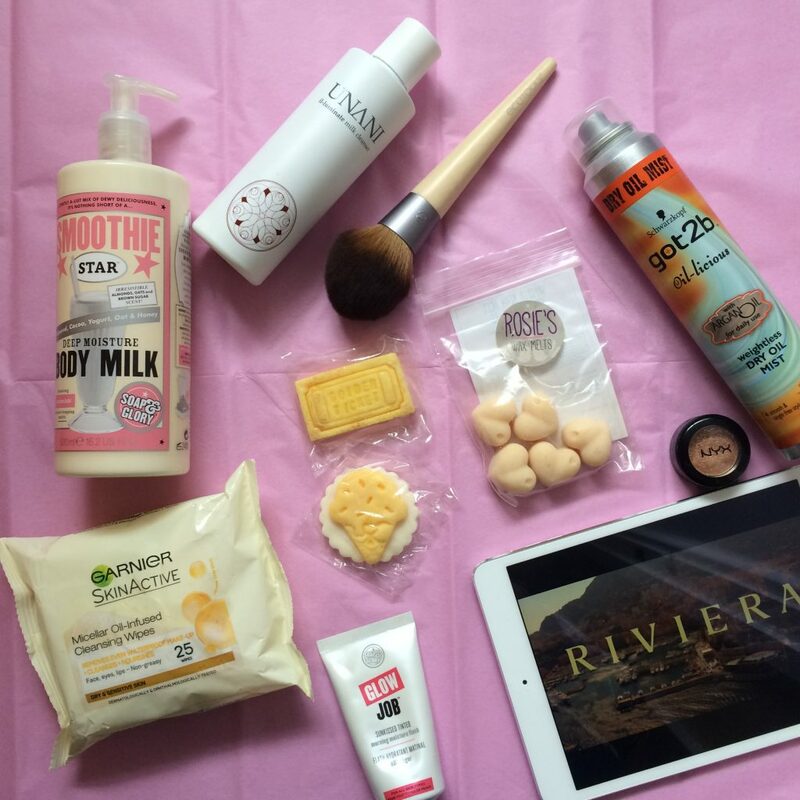 If you haven’t tried it it yet, basically how it works is you choose 3, 6 or 9 of your favourite products to try each month, all with free delivery, so you know exactly which and how many products you receive. 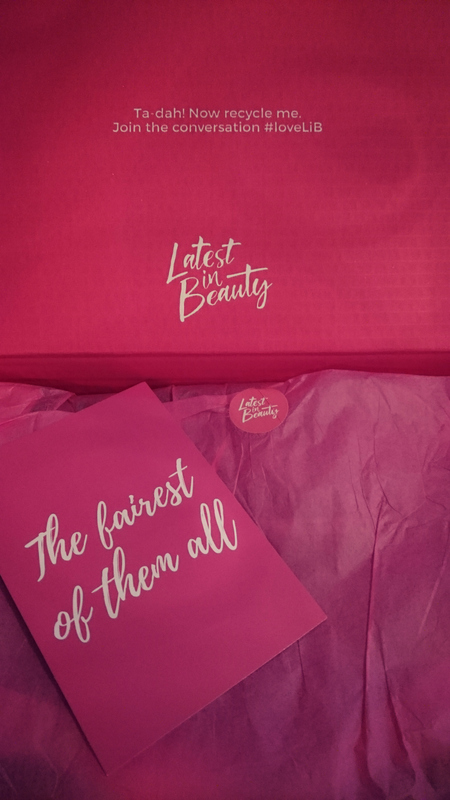 Your first month’s subscription will come in a gorgeous limited edition make up bag which is chic and reduces unnecessary packaging – win-win! I was so happy when mine arrived, I mean look at that cute pink packaging and you get a free card print with it, and being a huge Disney / fairy tale fan I really loved the one I was sent, I’m gonna frame it and put it in my office. 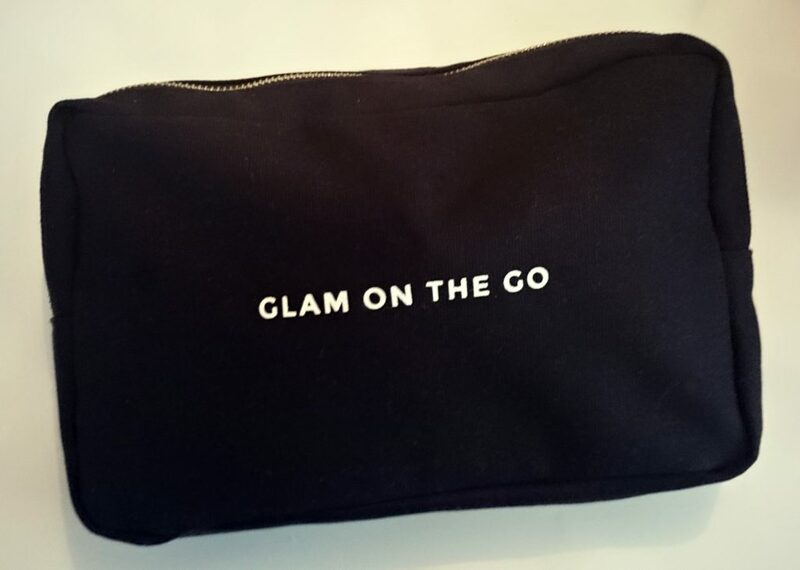 The travel bag that all my products were in is amazing quality and the perfect size for all the necessities I “need” to bring when travelling. 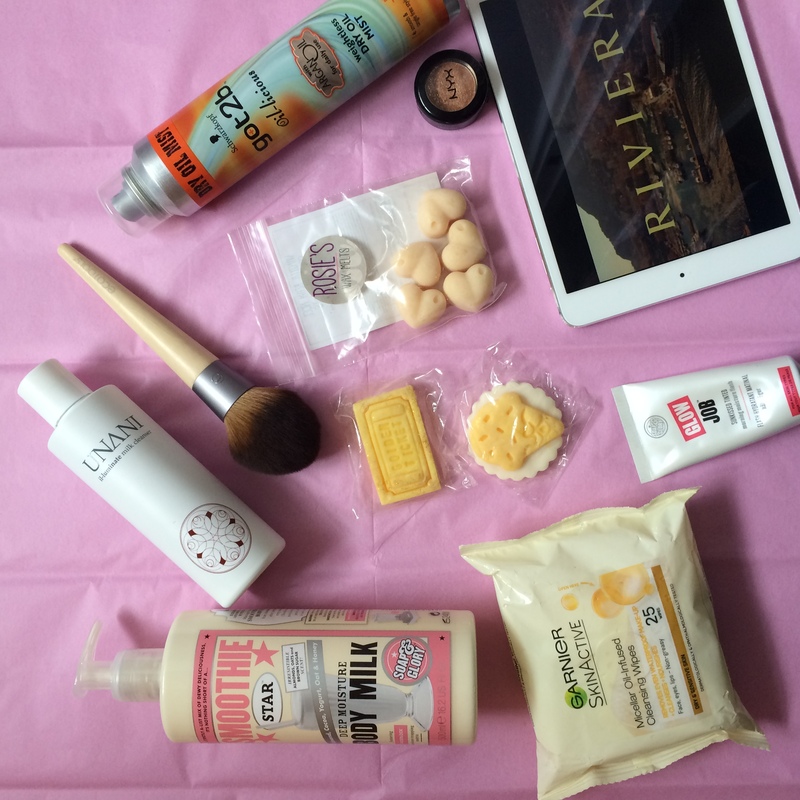 So what products did I choose?